Blue jeans are an iconic American staple. First invented in the late 1800’s by Jacob Davis and Levi Strauss, jeans quickly became the quintessential work trouser of gold miners and ranchers. 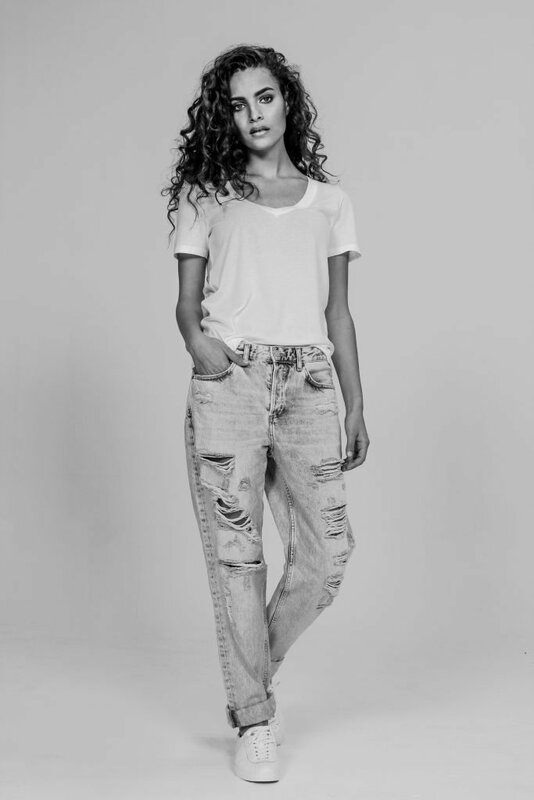 The original pants were handmade using durable cotton twill and natural indigo dye. Reinforced metal rivets were placed on areas most likely to tear, and there a rugged commodity was born. Hollywood brought blue jeans to the big screen in black-and-white Westerns, but it was in the 1950’s that they became a symbol of counterculture and rebellion thanks to James Dean. Jeans became so controversial that people were kicked out of public places for wearing them. So riské. Today these all-American pants have transformed into everyday wear, offered in multiple cuts, washes, fits and coveted designer labels. Along with a 21st century makeover, the process of making the blue jean has drastically changed. The original metal rivets have been removed (they were damaging chairs) and the pure natural fibers have been intertwined or replaced altogether with synthetic, polyester-based fibers like elastic and finished in toxic dye baths. And although jeans are now woven on machine, they still touch many hands along the way. Approximately 510,000 women work in the 560 officially registered Cambodian garment factories, with many more working in the shadowy world of subcontracting to produce our fast fashion. In Cambodia we see a lot of abuses against women. A report done by the Asia Floor Wage Alliance found 11 out of 12 factories fired women for becoming pregnant. In subcontracted factories especially, we see teenagers as young as 14 enter the industry to work long hard hours for low wages, while dealing with sexual harassment. Skim the news, and you’ll see that brave makers risk their lives in protesting for living wages and face police brutality. But there’s an upside. When you wear your values, women earn fair wages, benefits and enjoy a safe and nurturing work environment. Ethically run Made In Cambodia brands like Tonlé offer just that. It takes about 1,500 gallons of water to grow enough cotton for just one pair of jeans. When grown conventionally, the cotton crop relies on chemicals to avert weeds and pests–using 16% of the world’s insecticides. As an alternative, some farmers rely on genetically modified cotton seeds. In fact, in 2010 H&M was called out for fraud because 30% of their organic cotton products were found to be made with GMO cotton. Since then, the company has been working with the Better Cotton Initiative (BCI) for solutions. Although not organic, BCI helps to promote sustainable agriculture through water conservation and attention to soil health. So what’s the alternative? When you vote with your wallet, you support brands who support organic. Fibers are grown responsibly with consideration to water conservation and sustainable agriculture. When considering the environmental impacts of fashion, the manufacturing of denim is one of the worst culprits. It uses 17 billion gallons of water and up to 225,000 tons of chemicals annually–like cadmium, mercury, and lead to name a few. Another chemical often used in the dying process, nonylphenol ethoxylate (NPE), is known to cause cancer and was found in H&M clothing in 2011 by Greenpeace. 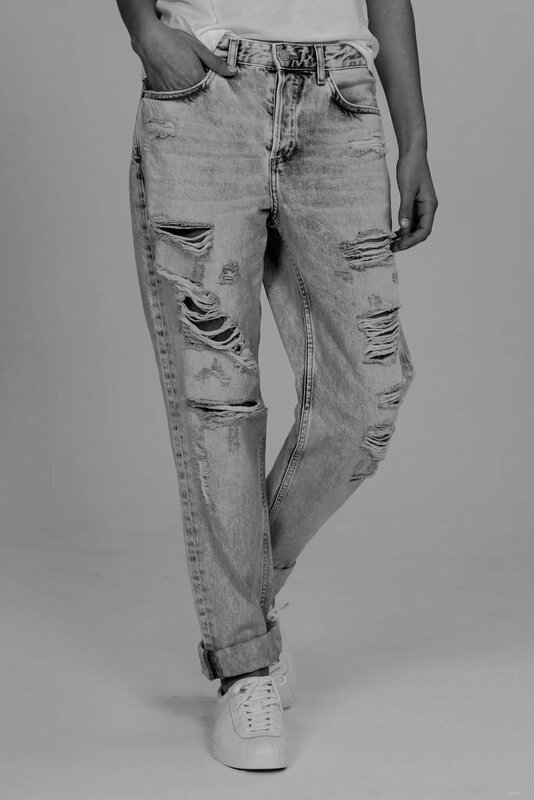 To make these fancy pants distressed can also be quite…distressing. Think multiple treatments of toxic dyes, acid baths and taxing human labor. Every time you wash those fast-made jeans, harmful chemicals trickle into our water supply and our oceans. Oh yeah, and we wear them on our largest organ: our skin. Luckily we can do better. We can save ourselves and the environment from dangerous chemicals when we shop fashion that meets our values. While contaminated waterways and health concerns are definitely alarming, the highest environmental cost of this pair of jeans might just be the rate in which they are churned out every day. Relying on the high turnover of trends at super low prices, H&M pumps out a whopping 600 million products each year. The average American tosses out approximately 82 lbs of textiles every year. Catching the trend? When you buy into slow fashion, you free up landfills from temporary trends and fill your closet with clothes that will last you way longer. Fewer better things that last is the new black. Andrea Plell is a freelance writer, fashion consultant and artivist passionate about engaging a paradigm shift in the fashion industry. Bay Area-based, Andrea supports thoughtful designers who are making a difference in the world through Ecologique Fashion. Why is fast fashion a bad thing?